"With passion, and deciding you won’t quit, you’ll be surprised at far you can go… "
One of the great privileges of working at Global Citizen is meeting inspiring people. As a budding humanitarian with a passion for women’s rights and international development, I often feel confounded by the massive barriers in achieving gender parity. Occasionally, I feel so overwhelmed by the enormity of the task in solving important issues that it lessens my desire to act. What can I, as a single human being, possibly do? The answer to this question comes from visionary Erin Zaikis (pictured below) and her innovative social enterprise Sundara, a nonprofit that creates sustainable hygiene programs for underserved communities in India, Haiti, and Ghana. Last week, I had the opportunity to speak with Erin (pictured below), a graduate of the University of Michigan (my alma mater, GO BLUE! ), and humanitarian who created an innovative solution to public health – all through the simple, yet revolutionary use of soap. Wanting to increase her global consciousness, at nineteen, Erin took money from her Bat Mitzvah savings and bought a ticket to Mumbai for the summer. What was her plan? “I was very impulsive and had this grand idea that I was going to find myself,” she jokes. Amidst disillusionment, Erin had an epiphany. One day, after using the restroom in a local school, Erin realized that despite the clean, running water, there wasn’t soap to wash her hands. “I thought it was so strange,” she says. “I brought a group of children around me, and my translator asked them, ‘Where is the soap?’. The kid’s response – “What’s soap?” Erin and her translator made several attempts to communicate what they were asking – but it became clear to Erin that the children were unfamiliar with soap and its uses. Following, Erin went to the next town over, and purchased bars of soap for the school children. When she came back, the kids, some as old as thirteen, seemed to have no idea what soap was. “Some were scratching at it,” she remembers. Erin’s revelation might sound uncomplicated, but that’s why it’s so innovative – soap is a cheap method of preventing disease. While many Westerners don’t think about basic amenities like hygiene products, soap is not part of daily life for all people. Digging deeper into the research, Erin discovered that according to a study by Unilever, an estimated 70 million people in India alone go without soap. Additionally, two million children die in the developing world early year of preventable hygiene related causes – illnesses like diarrhea and pneumonia. Compelled by this fact, Erin took action. “I started telling all of my friends about how people didn’t have soap, and no one really cared…I think I got labeled as the ‘crazy soap lady’. Talking wasn’t enough so I decided to begin raising money for the school in Thailand to make sure they had enough soap for a year,” recalls Erin. Thinking bigger, Erin expanded her operations. 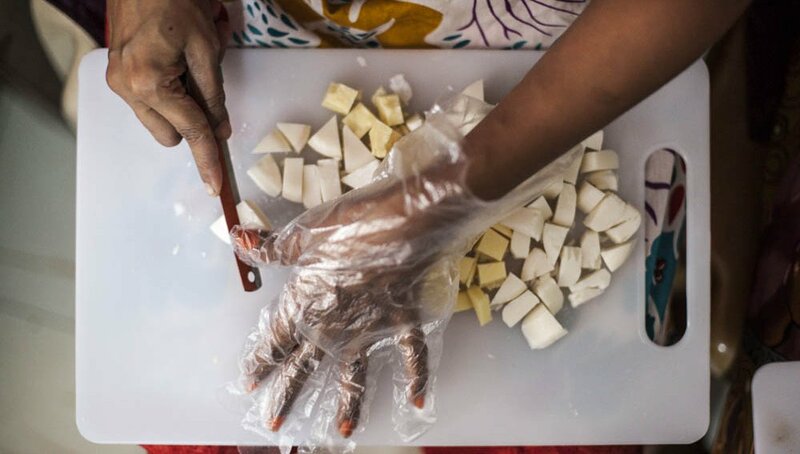 She began contacting local, four-and-five star hotels in India to donate bar soap (a lengthy process that took a lot of leg-work and asking EVERYONE she knew with connections in the region) and began training underprivileged women in soap recycling. From her vision, her nonprofit, Sundara was born. Now, soap production has expanded to nearly thirty schools and orphanages, providing soap, as well as hygiene classes, to underprivileged children. Erin’s tenacity and resilience have helped Sundara thrive. Since its founding in 2013, Sundara has worked to become an agency that helps create organizations that are equal parts sustainable infrastructure and community led hygiene education – a combination that is proven to empower both children and caretakers and incentivize them to take their health into their own hands. Interested in learning more? Check-out Sundara by visiting the organization’s website, reading the organization’s blog, and connecting on their social media channels through twitter and facebook. 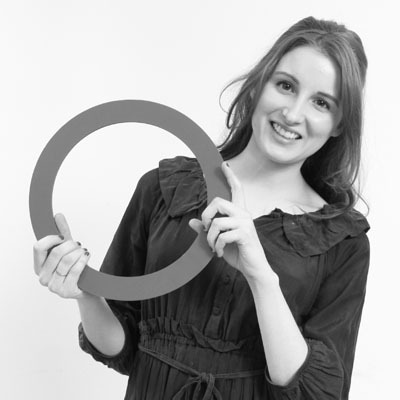 Interested in reaching out to Erin personally? She invites readers to contact her via her twitter handle at @erinzaikis. For those moments when I question my ability to create change, Erin is the perfect role-model. Success comes from failures, and believing in the work you are committing yourself towards. Do you know of projects, people, or organizations that you believe are making waves in international development? Let me know in the comments section!